The late nineteenth and early twentieth centuries saw an explosion in the Applied Optics industry. Companies such as Carl Zeiss, Bausch and Lomb and Eastman Kodak realized the great need and potential for optics as cameras, spectacles and medical instruments advanced in technology. With the start of World War I in 1914, the young optics companies in the U.S. were cut off from the German glass supply. The need for more knowledge in optical theory and more advanced instrument-making skills became imminent in the U.S.
On November 18, 1915, a few gentlemen met at the University of Rochester to form an optical society. It was named the Rochester Association for Advancement of Applied Optics. Within three weeks the society had written and adopted a constitution and by-laws and the first council was elected. The first regular meeting was held on Tuesday, January 4, 1916, and then on the first Tuesday of every month thereafter. This schedule is still followed today. One month later, in February 1916, it was decided to plan a national optics society with the name Optical Society of America. The Journal of the Optical Society of America was the first order of business and on December 28, 1916, the first regular meeting of the OSA was held. At the same time, plans for founding an "Institute of Optics" were underway at the University of Rochester. It was suggested that the Institute of Optics should be intimately involved with the publication of the JOSA and the two have been closely linked ever since. 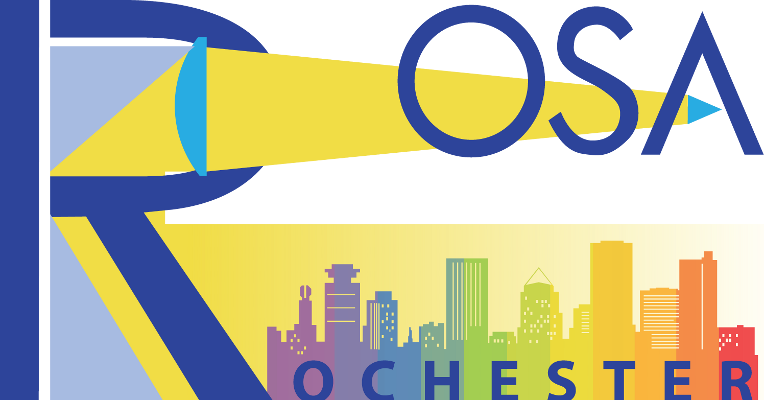 As the national optics society moved out of Rochester in 1916, a local chapter was created with heavy involvement from the local optics industry. It may be said that "you can take OSA out of Rochester, but you cannot take Rochester out of OSA." Content taken from "Common Origins of The Institute of Optics and the Optical Society of America" by Susan Houde-Walter, A Jewel in the Crown (2004).